Gardening, Thrifting and some Art too! 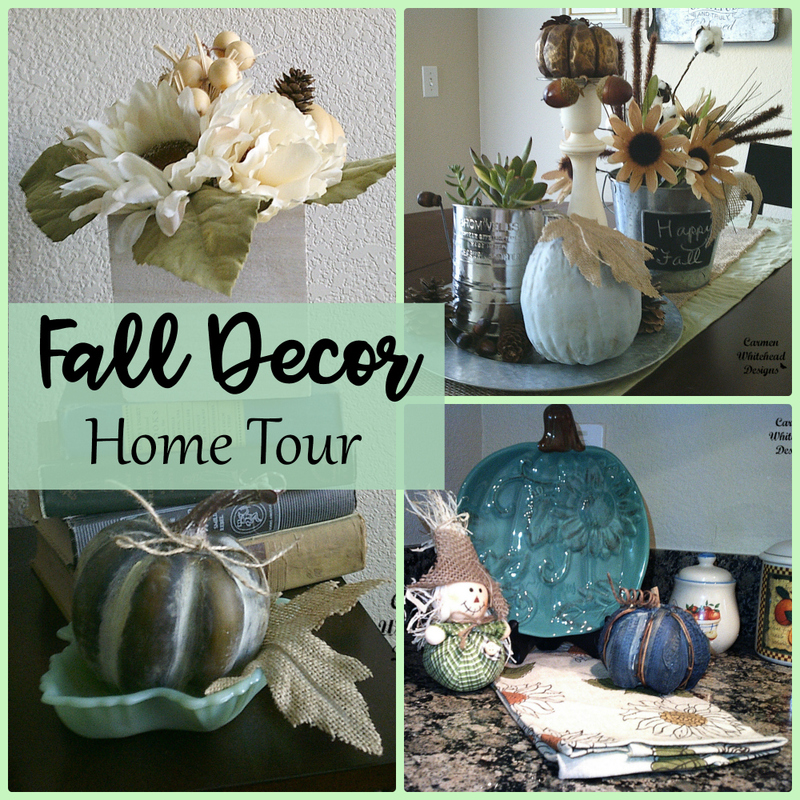 I’m so excited to be sharing with you today a fall decor home (apartment) tour. This year I went with a Farmhouse style theme with neutral colors. 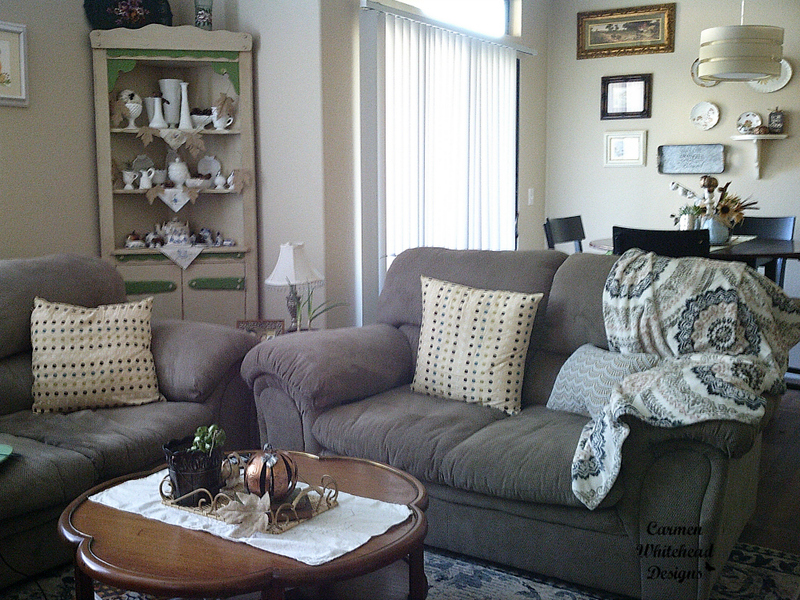 These pieces are a combination of hauls from Hobby Lobby, Ross, Target and Goodwill, but they came together beautifully. Hobby Lobby has their entire Fall collection on sale right now for 40% off! So much to choose from and they carry many themes, so you’re bound to find something for your decor. I picked up this wonderful wood sign with a simple image of flowers and mason jar. The coffee table is decorated with a tray from Goodwill, pumpkins and bucket from Hobby Lobby. I try to use my vintage books when I can, they add height to items. I have many house plants so I wanted to incorporate them where I could. This bronzed bucket holds a beautiful Hoya Hindu Rope. This beautiful floral display is from Ross and was only $10! What a great deal! It’s the perfect size for this little niche by the TV. The distressed pumpkin is from Hobby Lobby. 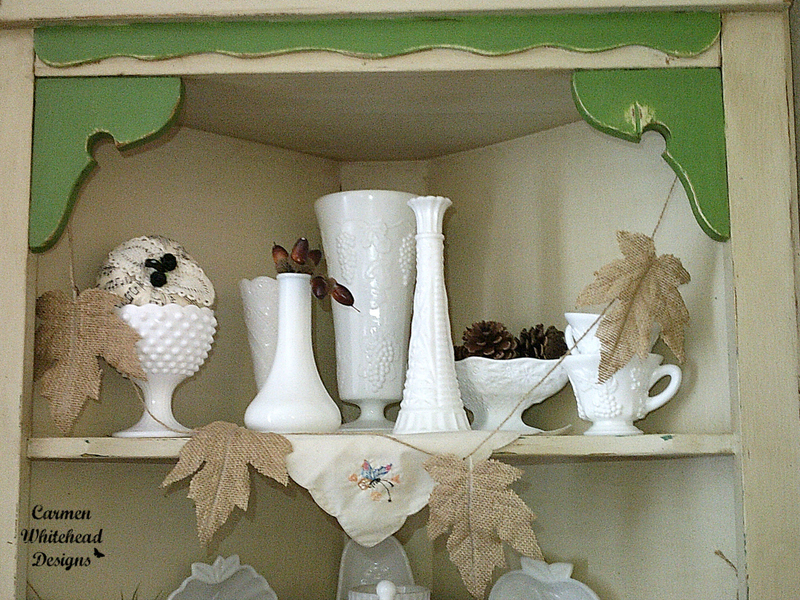 This corner hutch is one of my most prized treasures. It holds my milk glass collection and blue delft collection. I added a simple garland made with twine and Hobby Lobby burlap leaves. These leaves have a wire in them so they’re easy to flex into the shape you want. I also used them throughout the apartment in other displays. 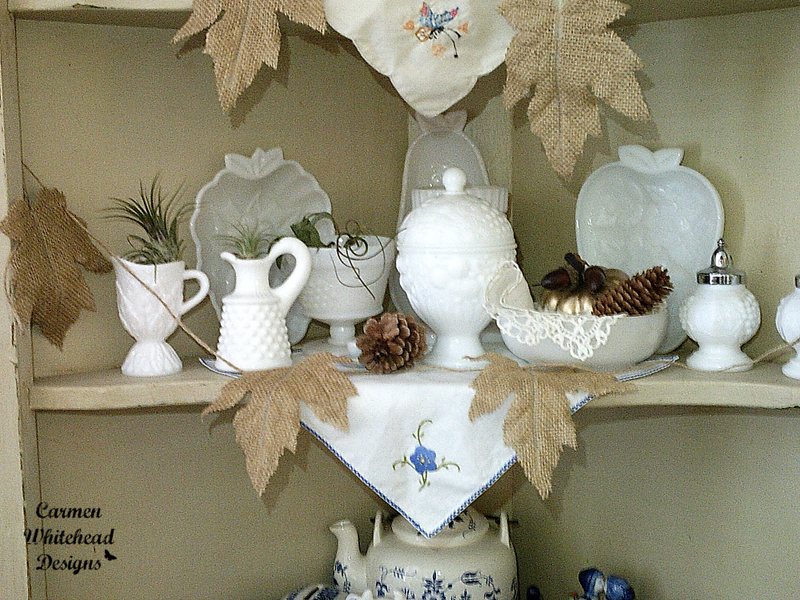 A little bag of pine cones and acorns from Hobby Lobby finished the vignette. The dining room table is definitely my favorite display. I layered the table with a runner from Target, a strip of burlap ribbon I already had, a galvanized charger from Hobby Lobby, a galvanized bucket from Goodwill, flowers from Dollar Tree and cotton picks from Hobby Lobby. 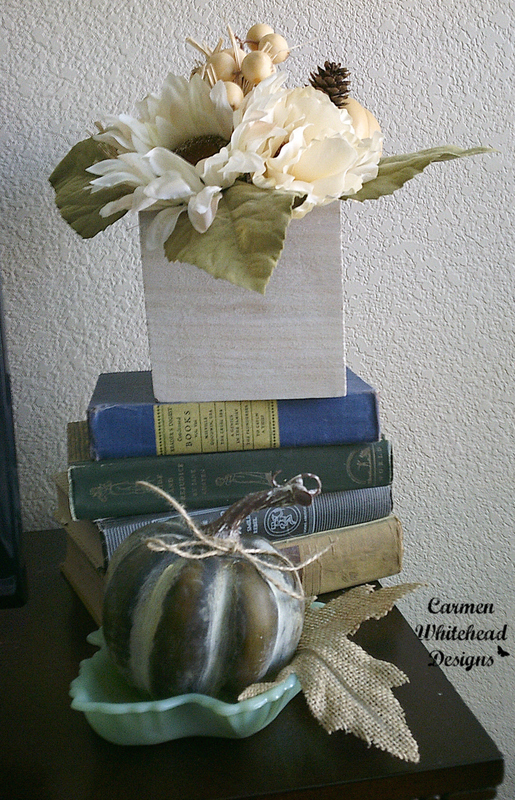 The pumpkin and candle holder are Goodwill finds that I painted and gave them a new look. The flower sifter is a thrifting find and is now a succulent planter. Scattered pine cones and acorns add a finishing detail. 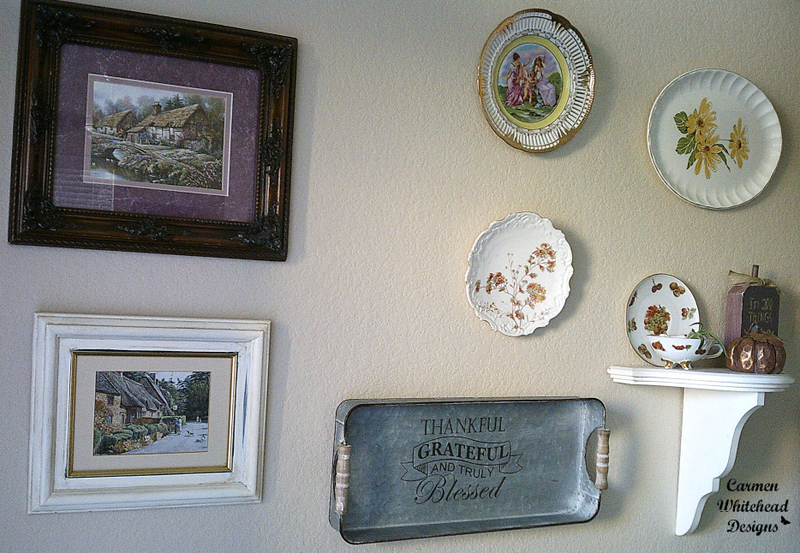 The dining room gallery wall is full of thrift store and yard sale finds. I removed some dishes with Summer flowers and added the galvanized tray from Hobby Lobby. It’s made for setting on a table, but I didn’t want to cover up the beautiful message. So, I hung it on the wall with an adhesive plate hanger. These adhesives last a long time and are easy to take off when you’re ready. I only added a few things to the kitchen and changed out the art prints to something more Autumnal. All of the prints are my art work and are available in my Etsy Shop. Sometimes the old rule of “less is more” is a good guideline. This little vignette with a blue ceramic pumpkin is all from Hobby Lobby and fits perfectly in this corner of the kitchen. Thank you friends for visiting today! I hope this little tour inspired you to create something beautiful today. Hello, I'm so glad you're here! I'm Carmen and I'm a lover of succulents, houseplants and balcony gardening. I also share that love of plants through my artwork. Welcome to my plant community! I occasionally share affiliate links in my posts. Content with affiliate links are posted only after careful consideration for myself and you, the reader. Please know, I only share content, products, and brands that I truly believe in. All posts with affiliate links will have a disclaimer note at the end.